On this date in 1685, Roundhead militant Richard Rumbold — known affectionately to his comrades from the English Civil War as “Hannibal”, since he shared with the great Carthaginian general the distinction of an eye lost on campaign — was beheaded at Edinburgh‘s Mercat Cross. J.M.W. 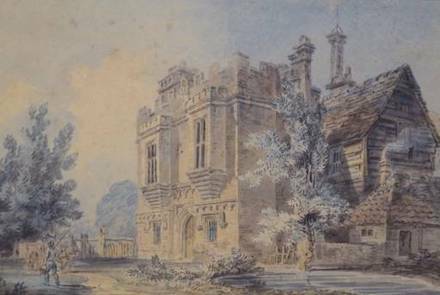 Turner watercolor of the Rye House circa 1793. I die this day in the defense of the ancient laws and liberties of these nations; and though God, for reasons best known to himself, hath not seen it fit to honor us, as to make us the instruments for the deliverance of his people, yet as I have lived, so I die in the faith that he will speedily arise for the deliverance of his Church and people. And I desire of all you to prepare for this with speed. I may say this is a deluded generation, veiled with ignorance, that though popery and slavery be riding in upon them, do not perceive it; though I am sure there was no man born marked of God above another; for none comes into the world with a saddle on his back, neither any booted and spurred to ride him; not but that I am well satisfied that God hath wisely ordered different stations for men in the world, as I have already said; kings having as much power as to make them great and the people as much property as to make them happy. And to conclude, I shall only add my wishes for the salvation of all men who were created for that end. 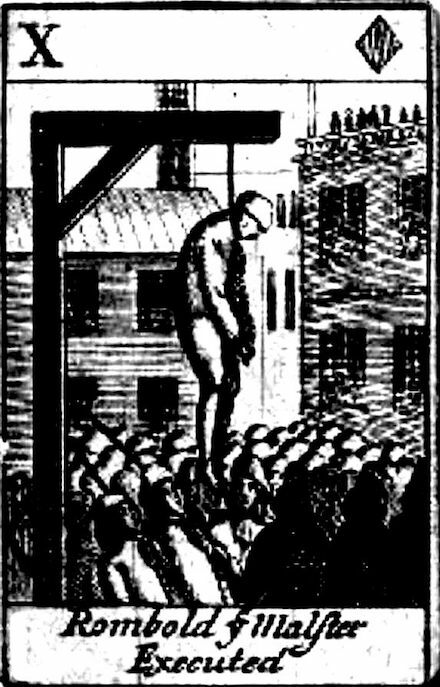 After hanging, they quartered his parts and pinned them up as a warning.